Lafite Rothschild, Latour, Mouton Rothschild, Margaux, Haut-Brion, Yquem, Pretus, Cheval Blanc, Ausone. The most powerful and seductive names in Bordeaux granted award-winning photographer Andy Katz full access to their estates for this stunning collection of images. 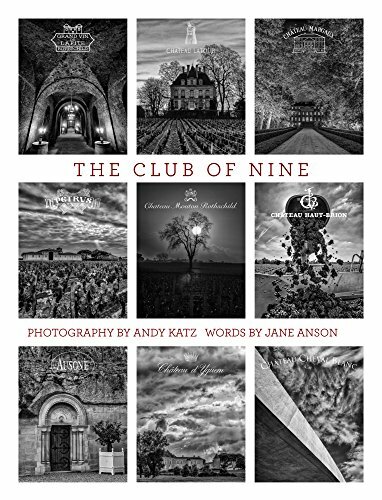 To accompany the photography, renowned Bordeaux expert Jane Anson’s words offer further insight into the heart of each property, exploring their secrets and uncovering why the nine chateaux together form the most exclusive club in wine.